Thirty years ago, who would have dreamed that a 490-page book by a Russian Orthodox monk would sweep Russia and sell millions of copies around the world? But that has been the deserved publishing history of Everyday Saints and Other Stories, recently translated into English. The book is all the rage among American Orthodox Christians, but deserves a far wider audience. Using biographical vignettes (with photos) of monks, abbots, bishops, nuns, and “fools for Christ,” its author, Archimandrite Tikhon, paints a powerful picture of the courage and cleverness Orthodox monastics deployed to survive Soviet persecutions—even as it shatters the stereotype of monks as dour men dressed in black who never enjoy themselves and are ignorant of and indifferent to the outside world. The story of “The Difficult Father Nathaniel”—whose photo appears on the cover—is the standout. (In Orthodox monasticism, all monks are called “Father” whether or not they are priests.) The Pskov Caves Monastery’s eccentric treasurer, an obsessive hoarder who “usually carried an old canvas bag over his shoulders, in which just about anything might be found, ranging from moldy crumbs of dried bread given to him ages ago by some old grandmother, to perhaps one million rubles in cash,” was a power unto himself, both terrifying novices and somehow unanswerable to his own abbot—even as he fully complied with all his assigned duties (known in Orthodoxy as “obediences”). A horrible cry rent the air, as if some unknown force had cast the abbot straight out of the pitch-black darkness of the Treasurer’s cell, into the corridor. Speeding out after him into the light came Father Nathaniel. Within one second, he closed and triple-locked the door of his cell one again. His domain safely secured, Fr. Nathaniel tells his (literally) shocked superior about how the light switch broke back in 1964 “on the occasion of the Feast of the Protection of the Mother of God,” the very day that Khrushchev was removed from power. “That was a sign!” he tells the abbot, explaining why he never repaired the switch. “Come, I’ll just open the door again, and we’ll slip back in!” But the abbot had already fled in ignominious defeat, never to mount another incursion. Space does not permit a detailed summary of the many vivid personalities that await discovery in this literary treasure. There is the con man who pretends to be a monk to cover his thievery, converts, and then backslides—fatally. In contrast, the “secret nun,” Mother Froysa, maintains her faith and hope despite the severe and tumultuous religious persecutions of the entire Soviet era. There is the ever-adventurous Fr. Raphael, exiled to rustic parishes for speaking truth to power, whose fatal attraction to speedy cars hangs over his many delightful escapades like a pall. And the humble Basil, who upon being tonsured a monk and immediately made a bishop, asks his Metropolitan how he could follow the necessary obediences of a novice when already a hierarch. “Metropolitan Anthony grew thoughtful for a moment, and then said, ‘You will be in obedience to everyone and anyone whom you meet on your journey through life. As long as that person’s request will be within your power to grant it.’” Bishop Basil, who served the Orthodox Church in America, became a frequent visitor to Russia after the Soviet collapse, did precisely that—no matter the personal inconvenience—often to the chagrin of moaning monks dragged along for the ride. The Russian Orthodox Church, no longer persecuted, is rebounding—to the point that some worry it may be growing too chummy with the Russian political establishment. Indeed, the author, now the Father Superior in Moscow’s Sretensky Monastery, has reportedly become the confessor of Vladimir Putin. But don’t let that give you pause. Archimandrite Tikhon has written a classic work of commitment and perseverance that powerfully and entertainingly illuminates the glories and foibles of striving to live a life of faith and truth. 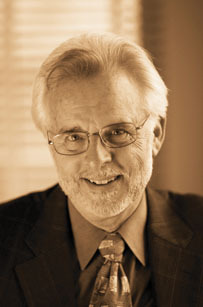 Wesley J. Smith is a senior fellow at the Discovery Institute’s Center on Human Exceptionalism. He also consults for the Patients Rights Council and the Center for Bioethics and Culture. His previous “On the Square” articles can be found here.